Mosquitoes, when not busy cementing their reputation as one of the animal kingdom’s biggest group of assholes, have surprisingly nuanced EDM opinions. After buzzing around music festivals across the world, taking in years of changing trends while sucking the blood of delicious humans, the mosquitoes have apparently reached a consensus on Skrillex. 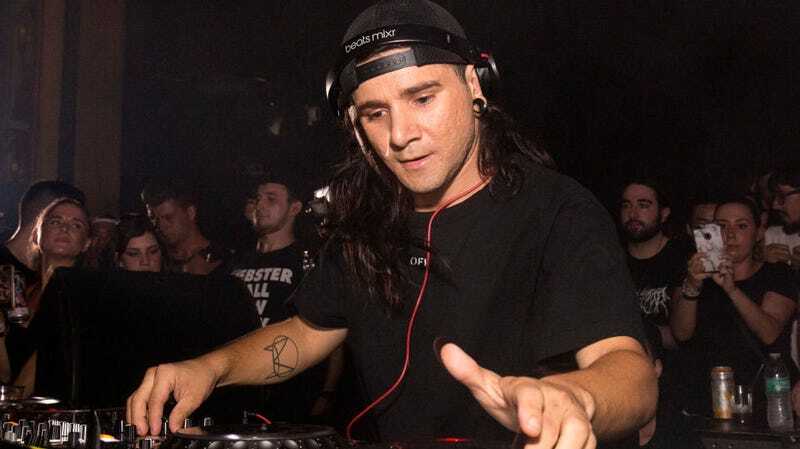 As summarized in a recent BBC article, researchers studying the effect of sound on mosquitoes found that Skrillex’s 2010 track, “Scary Monsters And Nice Sprites” works on the little scumbags in remarkable ways. The song, which was chosen because “its mix of very high and very low frequencies” contains sonic elements known to influence mosquito behavior, resulted in some fascinating discoveries. “The observation that such music can delay host attack, reduce blood feeding, and disrupt mating provides new avenues for the development of music-based personal protective and control measures,” the report says. Aside from the obvious benefits of these findings in terms of disease prevention, what’s most incredible is that we now know that mosquitoes would assign an old EDM hit a firm 6.5/10 on Pitchfork, balancing the joy they find in wiggling their thoraxes to the track with the fact it also leaves them hungry and unloved. Now that summer’s approaching, an early ‘10s revival seems inevitable, even if it is ahead of the usual nostalgia schedule. From parks and backyards across the world, that kid will be shouting “Oh my god!” once again, miraculously protecting us from bites even as, we should also remember, Skrillex’s music cannot free us from bee stings.